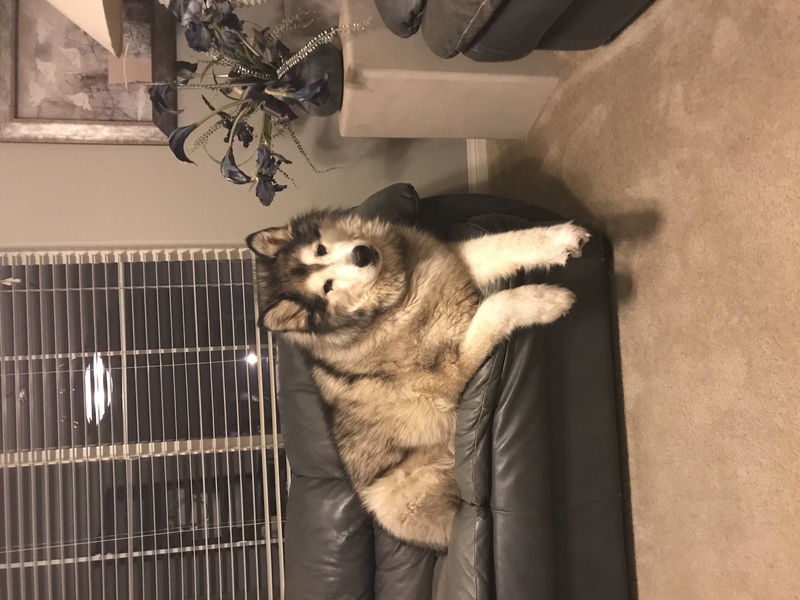 She is a 9 year old Malamute. Last weight was 165 pounds. She was caught on the couch.